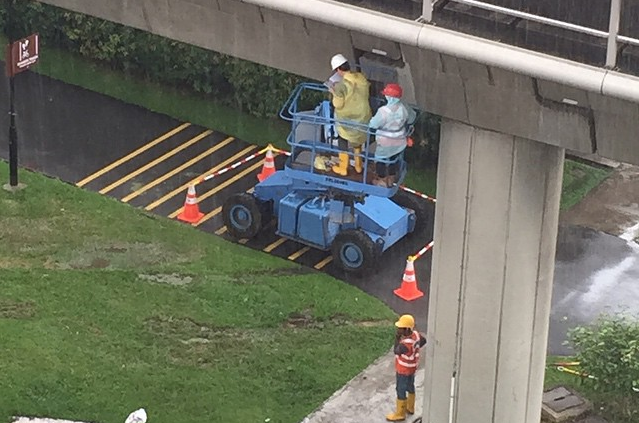 This Optical Illusion Of MRT Tracks Is Causing A Buzz On Reddit Singapore — How Many Illusions Can You See? First there was #TheDress, next there was #CatOnStairs. Now a locally-produced optical illusion is taking Singaporeans on Reddit (or Reddiporeans, as they like to call themselves) by storm. 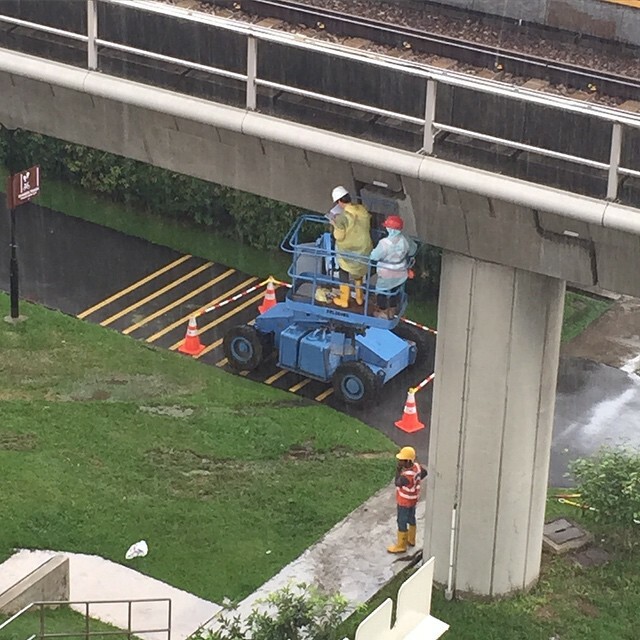 On the face of it, the image appears to be an innocuous one of construction work going on around an MRT track — according to the original poster, “zibin”, the picture was captured around the Yishun-Khatib area. So how many optical illusions do you see in this picture? One? Two? None? 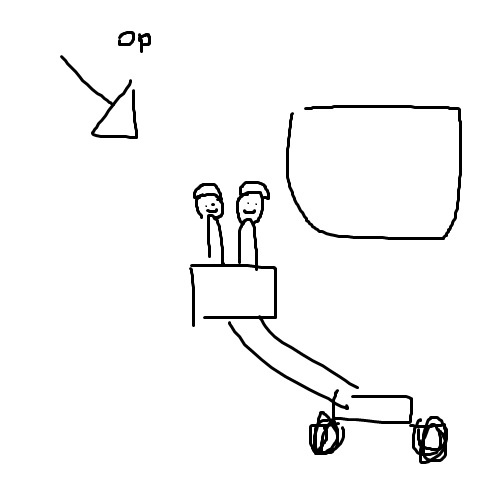 The most obvious trick-eye portion, as pointed out by most, would be the distance between the MRT tracks and the ground. The strange angle at which the construction lift appears in the picture — where the extension of the lift platform can’t quite be seen — makes it seem as though the track is closer to the ground than it really is. The workers standing on the lift also appear larger, and hence closer, than they really are because the arm of the crane lift is extended toward us. Some also pointed out that the cone seemed to be floating above the head of the construction worker on the ground, although the illusion probably holds only at first sight — a second glance would easily reveal that the cone is firmly planted on the ground. And of course, there were some who, like myself, were denied the pleasure of being tricked by the optical illusion even at first glance. Personally, I find that the illusion is far more obvious than ‘Dressgate’, since the supporting pillar of the MRT track clearly illustrates the height of the tracks. But whatever it is, the optical illusion has generated enough buzz among Reddit users that it made the front page of Reddit last night, prompting a well-justified round of congratulations.